For in-home range repair in Delta, British Columbia, trust our experts. We have the equipment and experience to tackle any range related problem in a timely and effective manner. Call us no matter what the problem is. From stovetop to oven trouble, our pros have the skills to troubleshoot and provide the most cost-effective solutions. We arrive well-equipped and will only install the best spare parts. 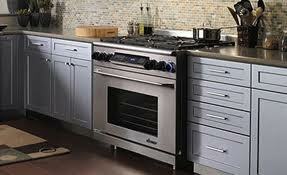 Let Appliance Repair Delta deal with your range concerns. Range problems can compromise your safety. If you need gas range repair service in Delta, call us now. Don’t use the appliance till one of our pros fixes it. Gas appliances might leak. And so any of their problems might influence your safety but also health. Give us a call to fix their problems. Although you won’t run the same risks with electric ranges, they can still become unsafe appliances. Call us for any electric range repair today. Is the oven sparking? Is one of the burners not working? Is the range not performing at all? One of our techs will come ready to replace parts. Whether you need stovetop or oven range repair, the prime step of our service is troubleshooting. Since these appliances are complex, we need to use our diagnostic equipment in order to find the source of problems. Our techs have the experience to check the appliance well. We are thorough but also helps that we are all up to date trained and backed by many years of servicing all kinds of models. If there are pros in town that can fix your range, these are the techs from our company. Call us for same day repair. Get in touch with our team if you are looking for experts in new gas range installation. When you get a new appliance, you need it fitted right. You want to know it’s safe for you to use and no trouble will come your way. Call us. We install all ranges and will gladly help you with yours. 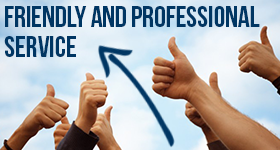 Our company is here to help you in any way possible. Our range repair Delta technicians are committed to offering prompt service and quality work. Call us today.